In a letter sent to the Civil Aviations Authority of the Philippines (CAAP) last 5 March, Secretary General Liu praised the Philippine Government for its commitment towards environmental sustainability. “The submission of an Action Plan provides an opportunity to establish and showcase strategies to reduce aviation emission,” Dr. Liu said. A State Action Plan is a voluntary planning and reporting tool for countries to communicate information on their activities to address international civil aviation’s CO2 emissions. It aims for better understanding of the share and projections of international aviation CO2 emissions, enhanced cooperation between all aviation stakeholders that can positively reflect on their operational areas, and the identification of the most relevant mitigation actions. The Philippines’ State Action Plan indicates the activities undertaken by the country, as well as planned mitigation strategies that it wants to implement in the future to further reduce C02 emissions in the sky. These mitigation measures include the development of Bio-Fuel (used cooking oil) as an alternative fuel and improve the air traffic management and infrastructure through the establishment of a performance-based navigation (PBN) system in all public aerodromes which increases airspace capacity, improves aviation safety, and reduces aviation activities’ environmental impact. 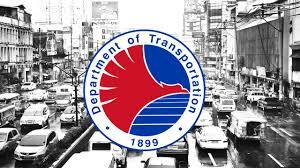 According to CAAP, the Philippines’ State Action Plan on CO2 Emissions Reduction was achieved because of the initiatives of both DOTr and CAAP, through the upright leadership of Secretary Arthur Tugade. As a firm advocate of clean air and environment, Secretary Tugade has been pushing for pollution reduction initiatives in all sectors of transportation. "Hindi lang sa mga Public Utility Vehicles nakatuon ang kampanya ng DOTr kontra polusyon kundi pati sa mga eroplano, barko, at iba pang uri ng transportasyon. Walang exempted dito. This is our commitment to global efforts in mitigating climate change," said Tugade. In 2017, our country also proved its compliance with international safety standards by succesfully passing the Universal Safety Oversight Audit Programme of the ICAO Coordinated Validation Mission. In the audit, airports in the Philippines got an overall result of 70.19%, which is above the global average (64%), and significantly higher than the previous rating (59.94%). Though the result notably improved than that of the previous years, Secretary Tugade challenged everyone in CAAP to exceed their performance this year. That way, the public is always assured of safe and convenient air travel in the country.